This one uses a SLA-gradient instead of a single color. I though it could be fun to see the color of the cloud change with different lightning conditions. 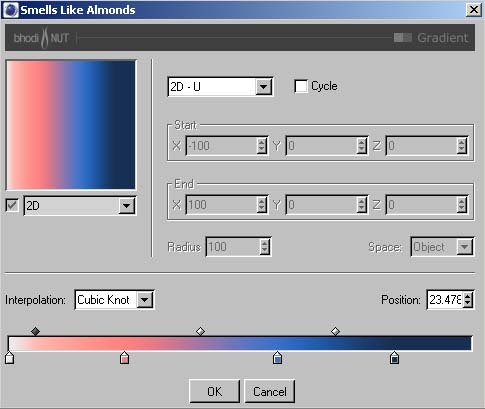 So this are the gradient parameters, keep in mind the the color of you cloud changes with different lightning setup. 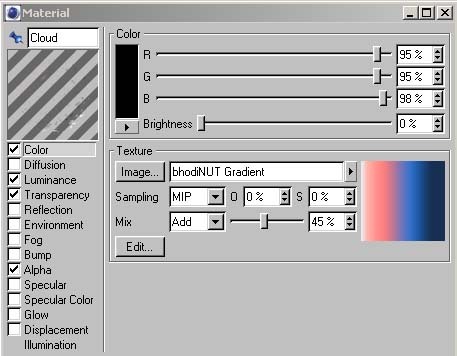 So you might first change the (additional) light to the desired position and after that play around with the gradient colors. 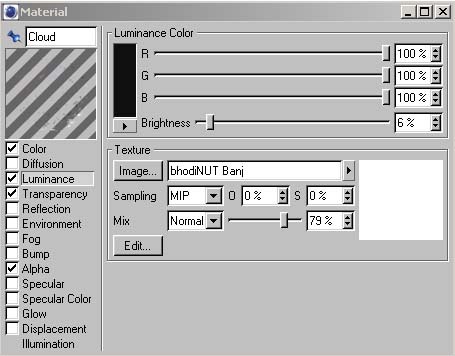 Now it comes to Luminance. Banji has a high value to get more Luminace on thin areas and darker areas where the clouds are thicker. Brightness has a low value to give only a lite overall brightness for the cloud. Banji has a pretty high Illumination value. You can set that up to 1000. It's set so high to give the cloud better bright areas. 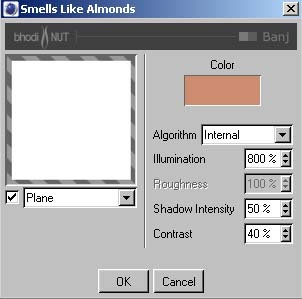 The Contrast and Shadow Intensity has values in the middle to get dark areas that are not too dark and not too bright. Transparency of course is used to make the clouds more transparent. So using the 'Soft' alpha channel option otfen is not enough to give the cloud the desired brightness and look. Transparency is used to chance that look. Now the look of our cloud. 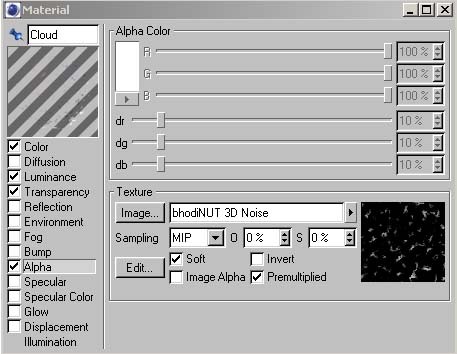 As usually we use bhodinut 3D Noise. 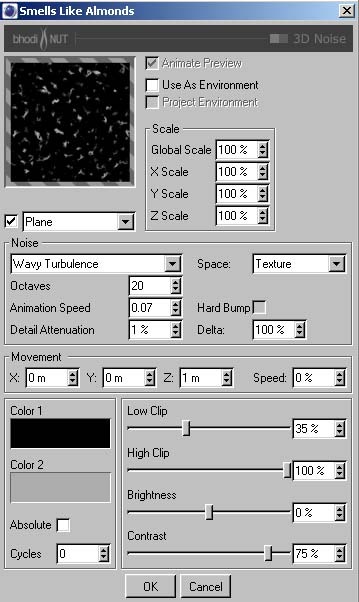 In this case we use 'Wavy Turbulence' as a base for our cloud. 20 Octaves makes the cloud more detailed. 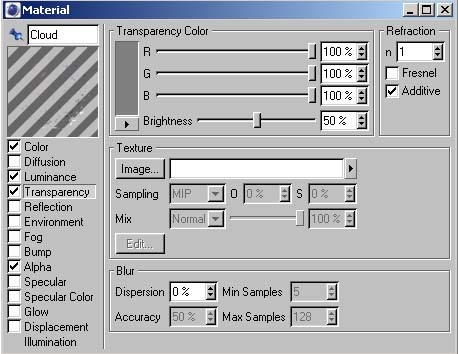 To cut off too many white areas we use a 'Low Clip' of 35% and a 'Contrast' of 75%. Changing this values will give you a more or less clouded sky.